Sant Lleí Events offers a comprehensive service for organising corporate and institutional events at Mas de Sant Lleí with a firm commitment to innovation and application of current trends. Mas de Sant Lleí has rooms with capacities ranging from 8 to 640 people. 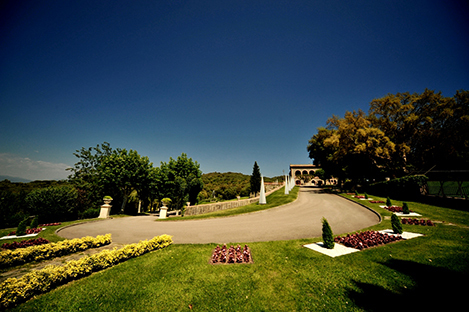 Mas de Sant Lleí is located on a private estate with over 40 hectares with two large terraces, a courtyard, gardens and a private forest. As specialists in the event management industry, we can help you schedule and manage your event. We have a wide range of audio and video equipment for events: including screens, videowall, microphones, speakers and 3D displays, video conferencing equipment. We can live stream video of your event to your Internet channel so that it can be watched anywhere. Fast, without stops and reliable. We can advise you and help you with decorating the room for your event, installing customised tents, flower decorations and placing customised furniture. Mas de Sant Lleí has 4 rooms with capacities ranging from 8 to 640 people. Inside the manor, there are rooms for events requiring less capacity: meetings, business lunches or training and motivation workshops for up to 40 people. In a building adjoining the manor house, we have two rooms with more capacity. We have a private car park with capacity for more than 200 cars and access for buses. There is easy access for cars from the motorway, but we also have two helipads. We have a wide catalogue of team motivating and outdoor activities, as well as training courses for teams, businessmen and sales people.